Among the more noteworthy clergy-members in the ULC are Talking Heads frontman David Byrne, former Monkees guitarist Mike Nesmith, and comedian Kathy Griffin. Now, joining the ranks of these celebrity ministers is New York-based comic Eugene Mirman, who recently decided to become ordained in the growing online church. Born in Russia to Jewish parents, Mirman moved with his parents to the United States when he was four-and-a-half years old, spending much of his youth in Massachusetts. Mirman has been a guest on the acclaimed talk show Late Night with Conan O’Brien as well as several other television shows, including HBO’s Flight of the Conchords as well as Comedy Central’s Premium Blend and Comedy Central Presents. Before becoming a pastor, Mirman worked as the producer for the Boston satirical weekly newspaper The Weekly Week in the late 1990s; he has also appeared in numerous comedy festivals, including Montreal’s Juste pour Rire (Just for Laughs) festival, the largest of its kind in the world. Mirman is well-known for his absurdist, observational, and satirical comedy focusing largely on human foibles and everyday life. A multi-talented artist, he has also worked as a writer and film-maker. Currently, he is known as the voice of Gene Belcher for the cartoon series Bob’s Burgers and for his role as Yvgeny Mirminsky on Delocated. We would like to congratulate Mirman on his decision to get ordained in the ULC Monastery. 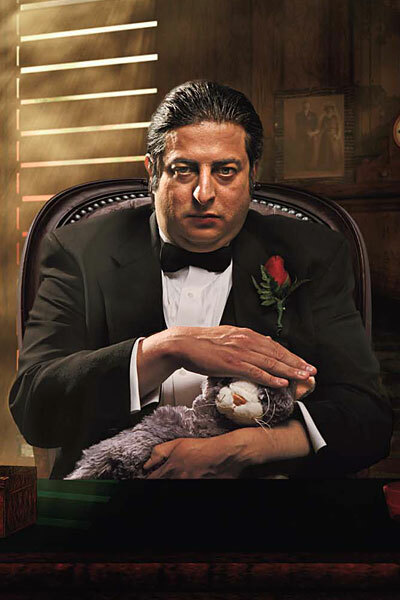 For more information on Mirman’s work, background, and accomplishments, and to taste a sample of his comic genius, readers can visit the official Eugene Mirman Web site.